Denna artikel publicerades första gången den 17-0-11 kl. 8:08 på WWW.AMORISM.CC. Benevolence is the essence of love. Poem and philosophy by Fredrik Vesterberg. This is amorism® culture. The image shows the author performing the piece at the municipal library in Stockholm Stockholms Stadsbibliotek the 2017-04-10. Open the article and read the poem. Benevolence is the essence of love. Benevolence is love. Benevolence is to wish life, happiness and to wish to avoid unwanted suffering. Benevolence can often be increased or improved by education. Benevolence can not always be realized. Amorism is total benevolence, namely to wish total happiness to all humans (and beings). 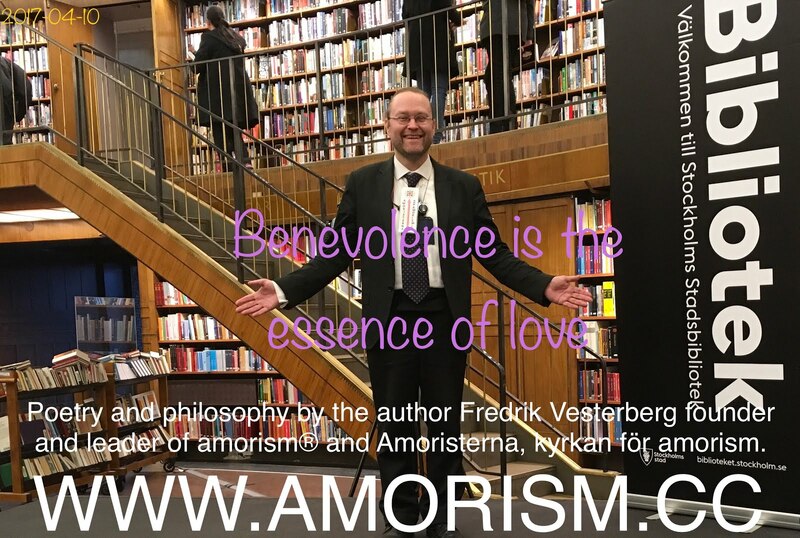 Amorism is holy benevolence; holy love. Amorism also means total happiness, optimal happiness, but not unlimited happiness. 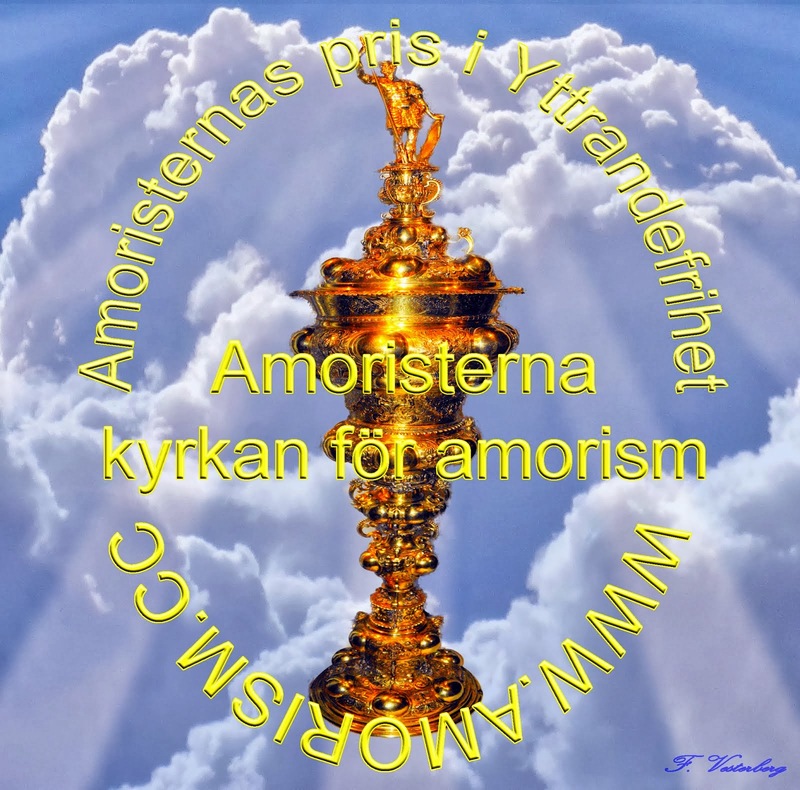 Amorism is the optimal happiness for the best coexistence of all humans (and beings). Total happiness is at least the result of total benevolence. (But don't have too high expectations) Righteousness is to have total benevolence, and to hallow the amorist virtues. Thus accept optimal ego and decline non optimal ego. Amorism is also a teaching. 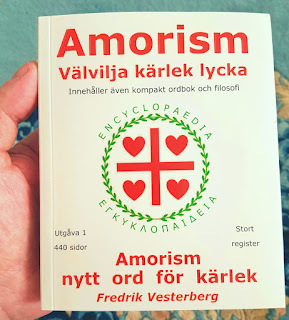 Amorism is defined in a creed. Truly holy! Amorism!